As I embark on this new journey in my life, I can’t help but look back over my life and thank God for being “THE ONE THAT GOT AWAY!” I have learned that what may often seem like rejection or things just not going my way, has in fact been God’s protection and HIS gentle nudge to lead me back to HIM. Nowadays, it’s so easy to make our happiness the supreme goal, but I have learned and I am still learning that this thought process is very dangerous. These last 3 years I have placed my happiness over God’s perfect will for my life and to be very honest I didn’t get very far. I now realize the importance of accepting that God has a plan for my life, and if I don’t align my will with HIS will, I’m just wasting time and energy trying to make myself happy. Within the next 2 weeks, I will be reintroducing to some, and presenting to others, the new and improved Tatiana Jones aka Tot Jones. 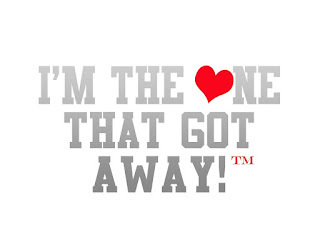 I am the girl that got away!! I got away with life lessons, knowledge, wisdom, a renewed relationship with Christ, and a true sense of self, based on God’s love for me and not the vain self-centered love that I had for myself. I am here to encourage you, yes YOU (The one who too has made a poor decision or two) that because of God’s love and grace YOU are the one that got away! So, shine bright darlings and surrender to HIS will because you got awayyyy!!!! BTW: If you love the above logo, a friend Kristen Harris has an amazing movement with this line. She inspired me to share my journey and testimony. Click the pic above to go to her site for t-shirts, testimonies, and more!